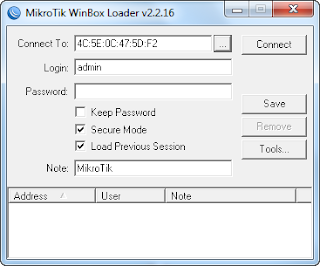 Mikrotik routeros default username and password - default username and password mikrotik router all series (such us rb750, rb450g, rb2011uas-2hnd-in, rb433, rb411, rb2011, rb1100, rb751u-2hnd, rb951g-2hnd, 750up and other) is very necessary for access to the new mikrotik router and mikrotik router has been reset to factory defaults. 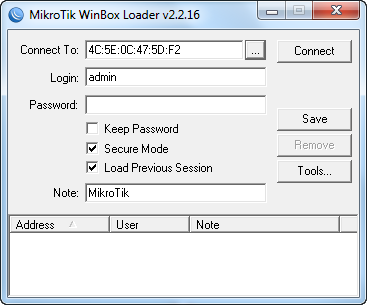 Mikrotik router can be accessed by using winbox, webfig, and telnet client. But if the mikrotik router newly purchased or newly reset to factory defaults, you should know the default username and password of mikrotik router. 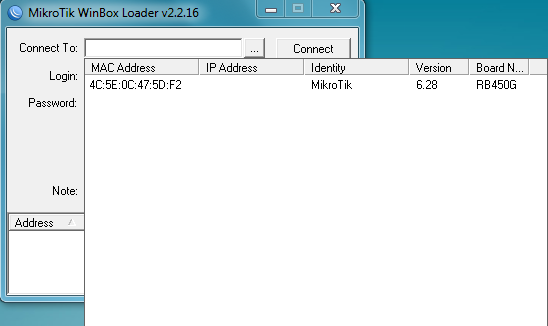 This is the default username and password for all mikrotik router os, such us v5.4, v5.22, v5.6, v5.20, v5.5, v3.30, v4.10, v5.16, v5.24, v5.21, v2.9.27, v3.20, v3.10, v3.29 and other version. 0 Response to "Default Username and Password for Mikrotik Router"